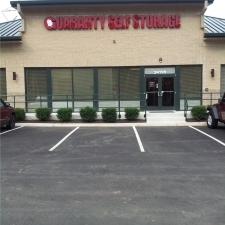 Guaranty Self Storage of Aldie provides climate and non climate controlled self storage units. 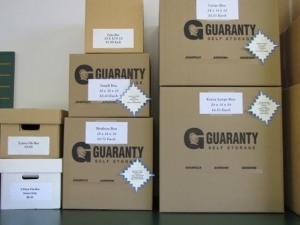 All self storage units are easily accessed for your convenience. Our facility is equipped with 24 hour video surveillance with electronic gate access and boxes and packing supplies are available for purchase on site in the office. Look no further! Your valuables found their home! Great facilities, helpful/friendly staff, very clean! True value! My moving day was schedulable on a Monday 9 to 6 pm, however the storage has only one access door serving the north side and one none-operational serving the upstairs and one serving the south side only. There was an Allied semi-truck was loading in front of me. It took them 6 hours to load and once they loaded wouldn't move until all items were packed and secured. That delayed my unloading for two hours (I paid $169.00/hour to movers to sit in their truck and wait). It would be great if I get a reimbursement for the double schedule and not enough doors to move in and out. I paid more money to rent first floor more convenience and speedy unloading, loading. But it was defeated by lack of entrance doors. I will be happy with one additional free month compensation. Absolutely outstanding customer service by Tyler and Dan! The cleanest facility unit and grounds Iâve ever seen in Northern VA! Great rate as well! A+! Fast check-in to a clean, secure facility. Easy reservation on line and a fast check- in made moving day much easier. 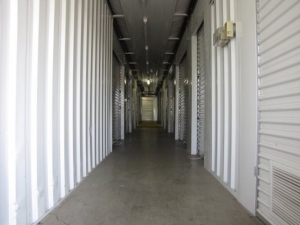 Clean, secure facility with great access hours makes this facility a great choice for anyone needing extra storage. Helpful service, quick check in, brand new and super clean, close to main road HWY 50 and near Dulles Airport. Open hours are very good and the security system is very good. I like that I can leave a key with the manager and I can designate other people that can access the storage. Customer service was awesome, efficient and friendly. Spaces are very clean, great location and they play music in the halls of the inside units, takes the creepy feeling out of a self-storage unit when you're there by yourself! Everyone was very nice and knowledgable! I had submitted a form earlier saying the front desk person was pushy but I thought it was for public storage. So I'm so sorry. I'm in marketing and I know these forms get read! Guaranty has nothing but helpful! Love it! Needed a short term storage space. Got the perfect size unit for a great price and the customer service was fantastic! Just go there and no where else, you will be happy you did that!!! Looks good but haven't been there long enough to really form an opinion. Great location, great service ! This place is super-clean and brightly-lit. Staff was very competent and friendly. Highly recommend. this facility is very clean, secure, and fairly priced. Great customer service, they are more than willing to work with you through whatever your situation. I would rent here again and would recommend to others. Staff is courteous and friendly. Multiple forms of payment make it easy to keep up to date. Easy access. Great size units. We were able to upgrade to a larger second unit at the last minute so all our things would fit. Needed a space to store furniture while moving from NYC and looking for apartment in DC. Rented online while still in Florida. On site staff were very helpful and accommodating. Facility is clean and secure. The spaces are easily accessible, bright, clean with convenient parking. Policies are flexible. Staff is OUTSTANDING. I would highly recommend this space to anyone. I booked this last minute and arrived the same day to load. The attendant was very detailed oriented and took care of me. Unit was great; like the style of locking mechanism they use; associate at front desk was fantastic. Very friendly staff, efficient and just an overall pleasant experience. Great Customer Relationship and Best Price in the Area!!!! Great property to work with!!! No complaints. From the moment I began my process over the phone to the very stressful day moving all my items into the storage unit. I have had nothing but a great experience. The pricing was competitive and location is top of the line. Very safe and clean. THANK YOU!!! We have a,ready recommended this facility to another friend!!!! SUPER NEW & CLEAN ! These guys are great, I feel very secure storing my valuable furniture items here. Great Friendly helpful staff who even went out of their way to call me when i forgot the lock my unit late one night. Doyle was very helpful and the place was immaculate! It was a very easy process to rent the space. Very courteous staff as well. Clean, great management and staff. Excellent, very friendly, nice to meet the owner. Thanks for the water! Karen was excellent help. She wave us a gread price and we were out the door quickly. Will recommend. Karen was wonderful to deal with She was very friendly and accomodating. She also got us a great deal!